Chimney Cleaning on Long Island is a necessity and prevents costly damage. A clean chimney reduces dangerous health and safety hazards. US Chimney routinely provides much-needed Chimney Sweeping services, guaranteed to remove any built-up creosote found in the interior of your heating system. Creosote can not only reduce airflow within a chimney, but is also highly flammable and can easily cause a chimney fire. As a premier provider among chimney contractors on Long Island, we provide a broad range of services to our customers, from chimney sweeping and waterproofing, to new fireplace and chimney construction, to masonry repairs and leak fixes. 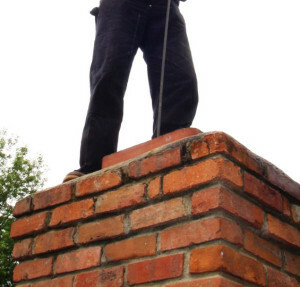 Regardless of your individual requirements, our licensed U.S. Chimney technicians have the experience and arsenal of tools necessary to get the job done and done right. 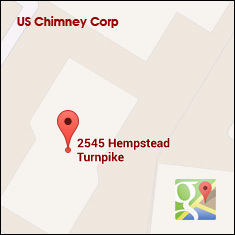 US Chimney Corporation offers a full scope of services to residents of Long Island, Queens, and Brooklyn New York in need of chimney cleaning, maintenance, and repair. We employ only highly trained and knowledgeable technicians, dedicated to delivering expert cleaning and repairs, as well as unparalleled customer service. Our staff stands behind each of the jobs we complete. Chimney Cleaning on Long Island is extremely important, we have very extreme seasons which can lead to costly repairs.